This wasn't technically a ten minute card. It took a bit longer, mainly because I had to locate the leaf die. It's so small and easy to misplace. I found that, but then I had to decide on what type of paper to use with it. 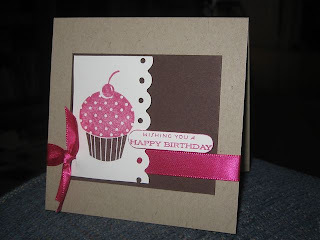 I cut out patterned paper, but it just didn't look right, so I decided to go with a solid cardstock. I had been having issues getting this die to cut, but I changed the sandwich and all is good with the world again! I know if I recreated the card it would take about 5 minutes tops. I used easy proportions- keeping the main image panel at 3.25x4.5. On a side note, does it bother anyone else that Baja Breeze and Soft Sky were clearly designed in the same hue family, yet weren't available at the same time?? This is a really fun sketch. 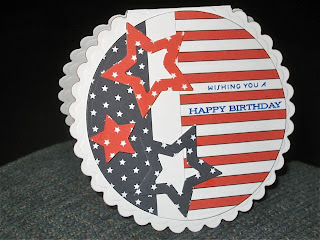 I need a birthday card for my Mom's significant other whose birthday is the 4th of July. I think this is perfect. 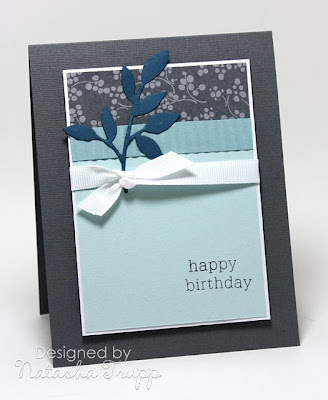 I used my largest scallop circle Nestability to cut out the card base. 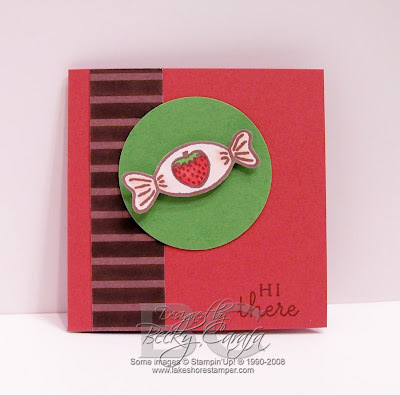 All the patterned paper used here is the digital paper from Gina K. I cut a circle from the blue star paper and the red striped paper, then cut off some of the striped paper. I didn't have a white enough ribbon the correct width so I used some white cardstock . The stars were made with the Star nestabilities and the little star is popped up on a dimensional. 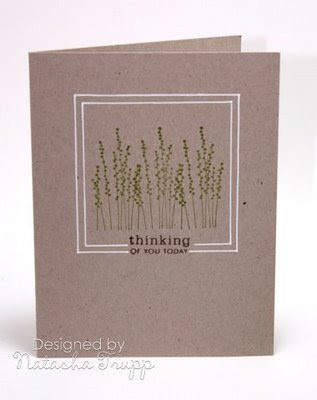 The sentiment is from PaperTrey Everyday Classics set. 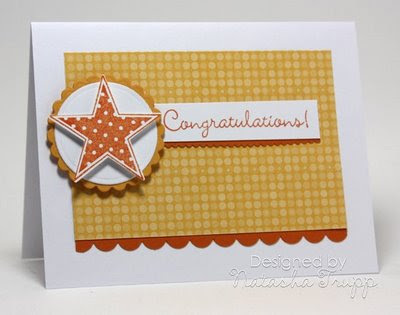 Supplies: Stamps - PaperTrey; Ink - Palette Starry Night; Paper - PaperTrey Stampers Select, GinaK digital papers; Misc - Nestabilities, dimensionals. 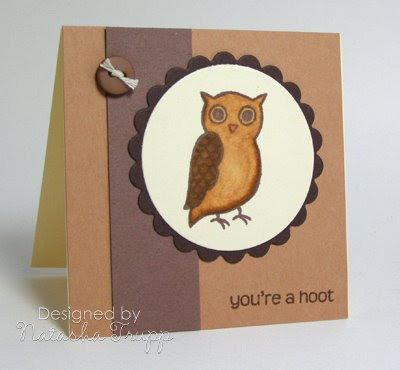 I thought it'd be fun to make a circle card again. So here's the sketch. Feel free to make the circle any size you want. Also, if you want to add a scalloped exterior edge, that's fine too. 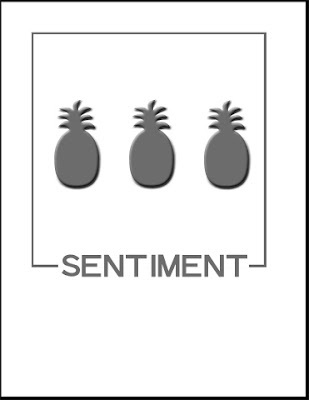 I hope you are inspired and feel free to share a link in the comments to your creation! And here's my card. I knew which stamps I was wanting to use-a few new ones I picked up in the States. The colour scheme was chosen semi-randomly. I saw Berry Sorbet, Summer Sunrise, and Cote d'Azure next to each other and thought "hmm, that looks nice". Sometimes decent colour combinations just happen like that. 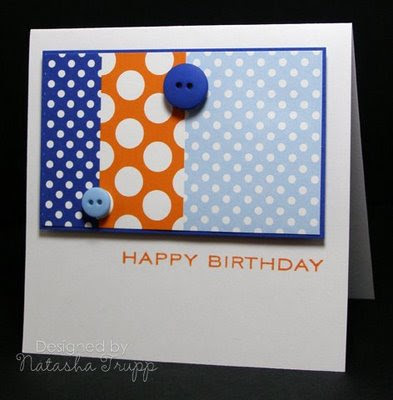 Here's an ultra quick card that came together all because I had received a few samples from the build-a-brad set. 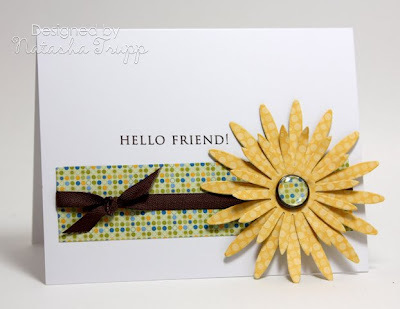 I made a brad using the 1/2 inch circle punch and some Good Morning Sunshine paper. 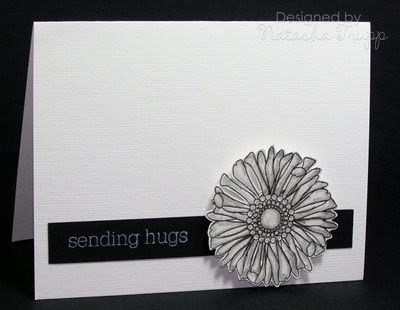 Then I thought it'd be fun to make some daisies using that as the center. 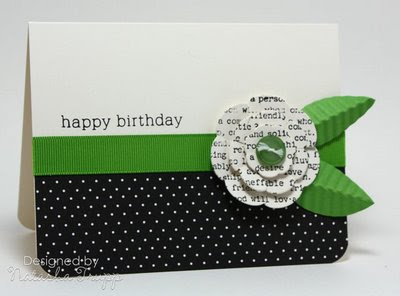 I added a bit more of the same paper, some ribbon, and a rub-on greeting. Easy! This card actually meets two SCS challenges in addition to Natasha's FTL#47. 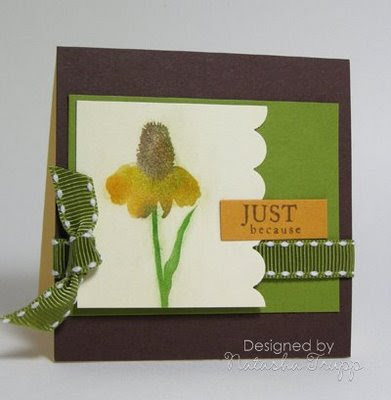 This is the inspiration piece that I chose for the Inspiration challenge and can be found here: http://www.bugalookids.com/product_p/chloe.htm This week's Ways to Use it challenge, WT223 was to use text on your card. 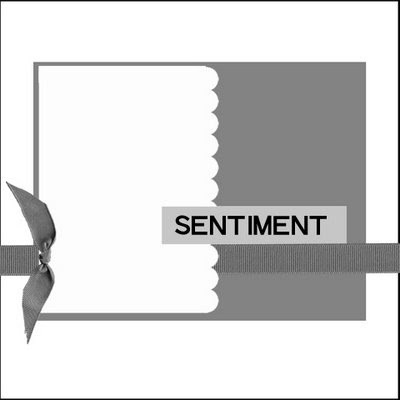 The image is from a Making Memories set and it had the text as part of the image. I clear embossed it and cut it out. I used an Ornare piercing template to make the stitched leaf and flourish like the shoes. 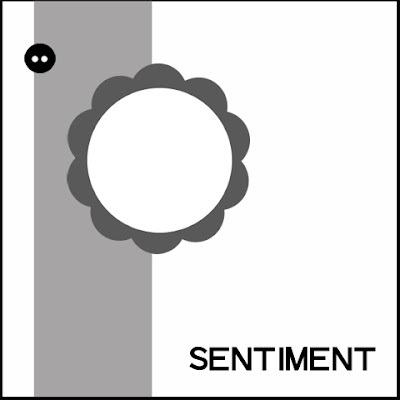 I realized after i was finished that I forgot the little circles or scallops on the bottom edge of the sentiment - oops! 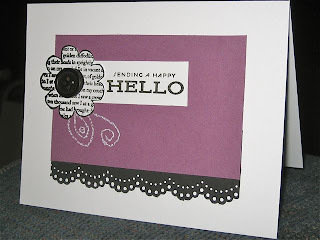 Supplies: Stamps - Making Memories, PaperTrey; Ink - Versafine Onyx Black; Paper - PaperTrey Stampers Select, unknown purple and black; Misc - Button, Clear EP, Ornare Piercing Template, Signo gel pen, MS Lace Border punch. So, it's time for another sketch! I deviated a bit from the sketch, I changed it to a vertical orientation. I will make another one tomorrow and post that, as well as dimensions if you want to wait the extra day. I just wanted to get it posted :D I think the card is pretty self explanatory. 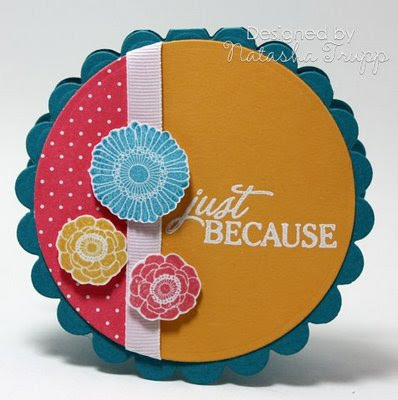 I used a lot of scalloped products. 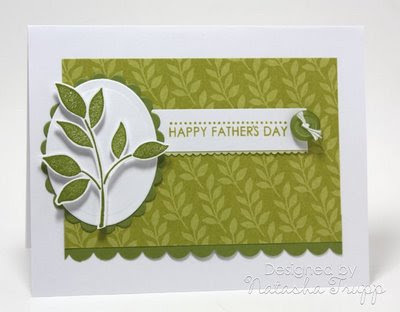 3 different types actually- die cut, scissors, and a punch. 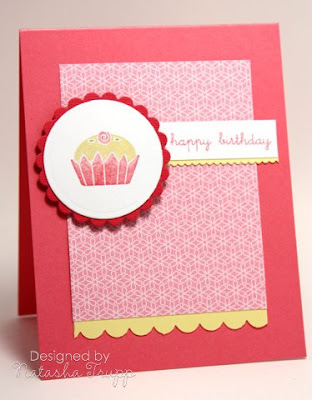 I was inspired by the patterned paper, looked up its coordinating colours (Cameo Coral, who knew!) and went with that! I thought Lemon Tart and this darker Coral colour went nicely. 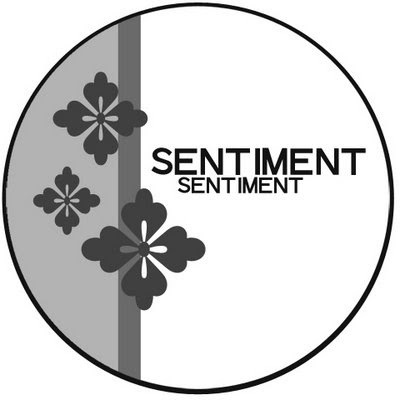 I also thought script of the sentiment went well with the theme. As usual, feel free to use the sketch, and leave a link in the comments! This is for the FTL#46. I love the clean look and the sentiment within the frame. 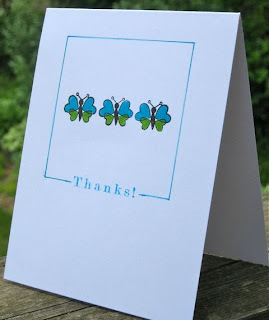 These butterflies were from my friend Lynette's $1 stamps. 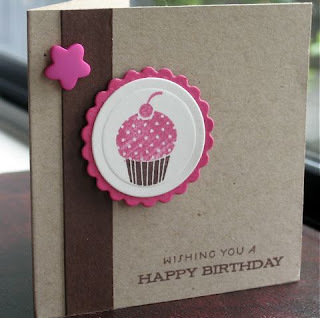 I stamped them using my stamp a majig so that I could get them centered on the card front. I then took a square Nestability and traced it where I wanted the frame to be. 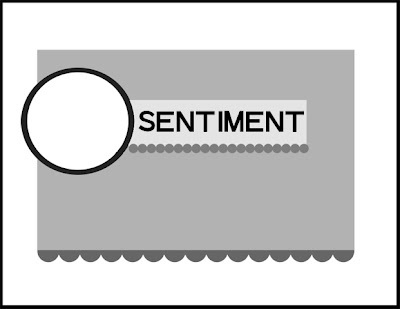 Next I stamped the sentiment centering it on the bottom line of the frame. I used the fine point of a Tempting Turquoise marker and a ruler to trace along the pencil lines to color the frame and erased the pencil marks. 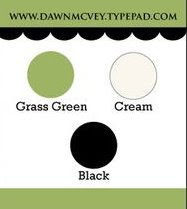 Supplies: Stamps - Studio G, Inkadinkado; Ink - Versafine Onyx Black, Tempting Turquoise; Paper - PaperTrey; Misc - SU! markers, ruler, pencil, eraser. Here's this week's sketch. The trio of objects is meant as a suggestion only. Feel free to have a single focal point if that's where the inspiration hits! What fun sketches to work with, it's been a while since I made 3x3 cards! Thanks for stopping by. Time for another ten minute (or under) card! I've had this black and white shaded flower on my desk for a while. 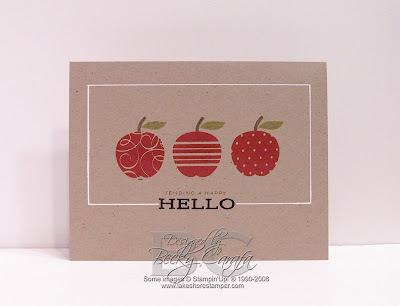 I created it by stamping with the True Black ink by Papertrey Ink and experimenting with a blender pen. The ink isn't waterproof so it blended quite nicely. 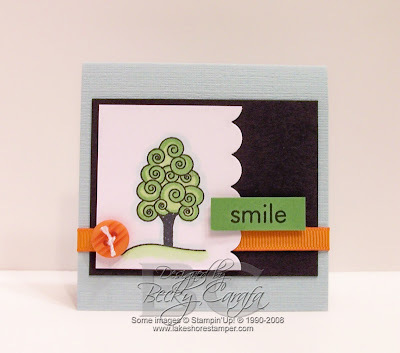 I decided to finally pair it with a textured white card base and a thin black sentiment strip. Easy!